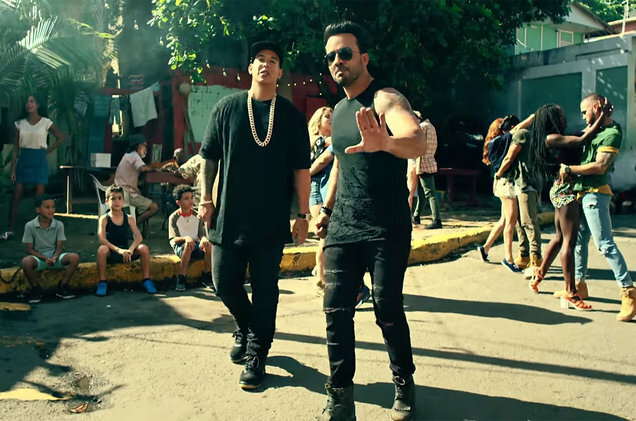 Luis Fonsi & Daddy Yankee’s Despacito is the first video to hit 4 billion views on YouTube. Between PewDiePie’s allegedly racist rants, Taylor Swift’s rip off of Right Said Fred and kids opening boxes, it’s been a pretty eventful year on the world’s biggest streaming platform. But not to be outdone, Despacito has just reached new realms of viral video fame, becoming the first YouTube video in its short but colourful history to hit 4 billion views – considering there are currently estimated to be 7.442 billion people in the world, those stats are eye-watering. In fact, at time of writing, it’s been viewed 4,002,676,470 times, plus all the times I’ve had it on repeat while writing this very article. The reggaeton-pop tune is universally loved – whether you’ll admit it or not. Despacito – which translates to ‘Slowly’ and is actually pretty NSFW lyrically – has been dubbed ‘the most authentically Latin chart-topper in the US’ as America’s first Spanish language number one hit. The video isn’t bad either. It’s got everything a good summer blockbuster music video needs; a heady cocktail of the beautiful Puerto Rican sun, sea and sky, a bunch of mates having a good old dance in the club, and some old dudes playing backgammon. The song has helped many worlwide find their rhythm, but it’s also had a positive economic impact in Puerto Rico too. In July 2017, it was reported tourist interest in the country increased by 45 per cent since the worldwide success of the song and tour operators cite the song’s music video for increasing interest in the locale. Club La Factoría got a revived clientele and the brightly coloured houses of the La Perla district in Old San Juan, a seaside slum which had long been notorious as a violent enclave, serving as Puerto Rico’s biggest distribution point for heroin, became a tourist trap. Tragically, the district was hit by Hurricane Maria and Fonsi was quick to help the hundreds of volunteers to distribute aid to the now-destroyed setting for his song and its colourful video. The video – shot in Spanish and without Justin Bieber’s additional verses – was first posted on January 12 2017 and has raced to be crowned as the most-watched video on YouTube. Thank you for supporting family. Thanks Puerto Rico. It has bested Wiz Khalifa’s 2015 hit See You Again featuring Charlie Puth, which honours the late great Paul Walker and currently sits at 3.15 billion views, as well as Psy’s former record-setter Gangnam Style from 2012 which has 2.97 views. 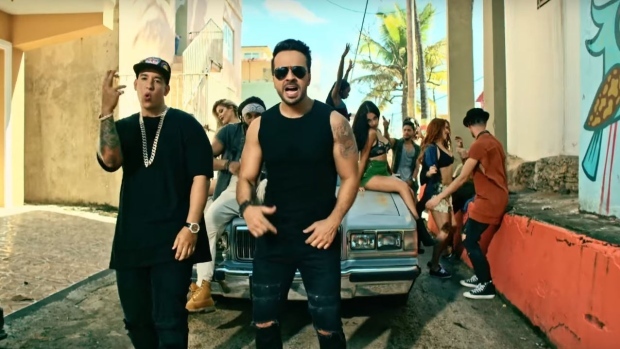 Since its release, Despacito has set records and broken ground left, right and centre, setting Vevo records for most views of a Spanish-language video in 24 hours with 5.4 million hits, as well as for the fastest such video to reach 200 million views, 2 billion views and 3 billion views. Just last month, Despacito landed a 16th week atop the Billboard Hot 100, the most weeks at No. 1 ever for a single, equalling the reign of Mariah Carey and Boyz II Men’s One Sweet Day which ruled for a long stretch in 1995-96. There’s nothing slow about this track’s rise and induction into musical history.